After a full week in Florida at Disney with my son, daughter in law and our two beautiful grand-babies, we arrived home last night. Exhausted. Sunburned. Blistered. Broke. Did I mention exhausted? But... we had a blast with those babies! I brought my laptop with me with the full intent of working a bit, but either ran out of time or energy or mostly both to be honest by day's end. After hearing from a few readers, I figured I better at least 'splain my absence! It was my first vacation in 4 years, so I hope you'll forgive me and stay tuned - I'll be back soon with some new recipes. So glad to see you're back! But even happier that you took time for yourself and family. 4 years?! You more than deserve it M'Lady! Thanks Leah! We had a ball but whew!! I am one tired gal for sure. 4 years is a long long time not to have a vacation and the one you took sounded great..welcome back..enjoy your blog and the yummy recipes.. I thought you must be gone. After taking my young kids to Disney World, I had the same experience. Get to the park early to avoid the lines, lay around the pool in the hot afternoon, then back to the park in the evening to ride and watch the parade. It only takes a few days of that schedule to do you in. Glad you had a good time. Welcome Back! Now you can rest from the exhausting vacation. Disney will do that to ya. First vacation in 4 years! You were definitely due and have no apologies to make! Glad you had fun and welcome back! I hope you'll sprinkle those recipes with photos of your time in Disney. Welcome back from your magical vacation! We missed you! Glad you are back and had a great well deserved vacation!! Love that time with the g-babies! Lookin' forward to some new recipes. Love your blog! Happy to see you're back! I have missed you! I am glad y'all had such a wonderful trip! Did you eat anything wonderful that you want to share with us? Keep up the good work! I have directed soooooo many different people to your blog and wonderful recipes. Welcome back, Southern Mama! Super glad you enjoyed yourself and the family. I know y'all had a ball!! Rest up, chill out, cause the Fall is here and we need some new recipes! Missed you! How fun..my husband has been once but I never have. He will take me some day soon I hope. Glad to see you were away for such a glorious reason. 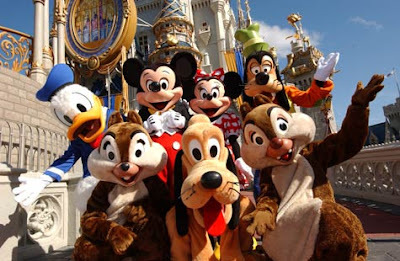 We are taking the four grands and their parents to Disney in June. It will be our first vacation in 7 years, just didn't seem that long with births and weddings and other things along the way. I can't wait!! Welcome back! You were truly missed!